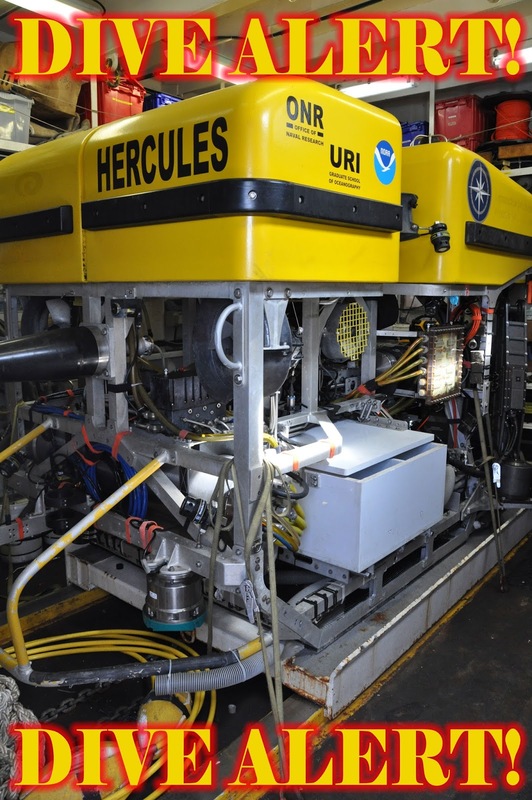 Tonight we will perform another dive, with both ROVs (Argus & Hercules). We will be diving near the “East of Eden 3” site, and other targets that we identified as being potential active hydrothermal vents during our reconnaissance dive a few days ago. We will be studying the geological features, looking for interesting biological features (including crabs, tube worms, clams, and more), and taking water samples. I will be standing the watch tonight, for six to seven hours, in the times between descent and ascent of the vehicles. We are scheduled to hit the water around 3pm, PST (but remember that this may shift slightly). I should be on watch in the control van by around 5 or 5:30 pm, PST. Visit us at http://www.nautiluslive.org and send me questions!Remember to include your first name and troop number if you’d like me to do a shout-out!